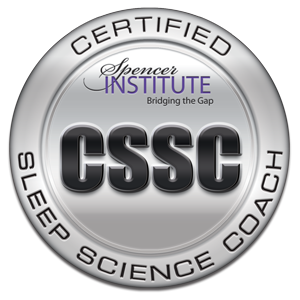 Sleep Science Coaching Is Not Medical Advice. The website is owned by Susan D’Addario, CSSC, founder of Back-To-Sleep. The information provided in or through this Website is for educational and informational purposes only and solely for your own use. It is not professional advice. Should you require professional advice, you should consult with the appropriate professional before you rely on any information provided in or through this Website. Any and all information provided by Susan D’Addario through The Back-To-Sleep program is not intended to diagnosis or treat illness. Please consult your doctor for all your medical needs. As with all situations, there are sometimes unknown individual risks and circumstances that can arise during use of this Website that cannot be foreseen that can influence or reduce results. Any mention of any suggestion or recommendation on or through this Website is to be taken at your own risk, with no liability on my part or the Company, recognizing that there is a rare chance that illness, injury or even death could result, and you agree to assume all risks. By using this Website, you agree to absolve me, Susan D’Addario and Back-To-Sleep, of any liability or loss that you or any other person may incur from use of the information, products or materials that you request or receive through or on the Website. You agree that Back-To-Sleep and I will not be liable to you, or to any other individual, company or entity, for any type of damages, including direct, indirect, special, incidental, equitable or consequential loss or damages, for use of or reliance on the Website. You agree that Back-TO-Sleep and I do not assume liability for accidents, delays, injuries, harm, loss, damage, death, lost profits, personal or business interruptions, misapplication of information, physical or mental disease or condition or issue, or any other type of loss or damage due to any act or default by me, Back-TO-Sleep, or anyone acting as our agent, consultant, affiliate, joint venture partner, employee, shareholder, director, staff, team member, or anyone otherwise affiliated with my business or me, who is engaged in delivering content on or through this Website. You hereby fully and completely hold harmless, indemnify and release Back-To-Sleep, me and any of my agents, consultants, independent contractors, affiliates, joint venture partners, employees, shareholders, directors, staff, team members, or anyone otherwise affiliated with my business or me from any and all causes of action, allegations, suits, claims, damages, or demands whatsoever, in law or equity, that may arise in the past, present or future that is in any way related to the Website. I make no warranties related to the performance or operation of my website. I make no representations or warranties of any kind, expressed or implied, as to the information, content, materials, programs, products or services included on or through the website. To the full extent permissible by applicable law, I disclaim all warranties, expressed or implied, including implied warranties of merchantability and fitness for a particular purpose. Although every effort is made to ensure the accuracy of information shared on or through this Website, the information may inadvertently contain inaccuracies or typographical errors. You agree that Back-To-Sleep and I are not responsible for the views, opinions, or accuracy of facts referenced on or through the Website, or of those of any other individual or company affiliated with Back-To-Sleep or me in any way. Because science, technology and business practices are constantly evolving, you agree that Back-To-Sleep and I are not responsible for the accuracy of my Website, or for any errors or omissions that may occur. References or links in the Website to the information, opinions, advice, programs, products or services of any other individual, business or entity does not constitute my formal endorsement. Back-To-Sleep and I are merely sharing information for your own information only. Back-To-Sleep and I are not responsible for the website content, blogs, e-mails, videos, social media, programs, products and/or services of any other person, business or entity that may be linked or referenced in this Website. Conversely, should my Website link appear in any other individual’s, business’s or entity’s website, program, product or services, it does not constitute my formal endorsement of them, their business or their website. From time to time, Back-To-Sleep and I may promote, affiliate with, or partner with other individuals or businesses whose programs, products and services align with mine. In the spirit of transparency, I want you to be aware that there may be instances when I promote, market, share or sell programs, products or services for other partners and in exchange I may receive financial compensation or other rewards. Please note, I only promote partners whose programs, products and/or services I respect and value. At the same time, you agree that any such promotion or marketing does not serve as any form of endorsement whatsoever. You are still required to use your own judgment to determine that any such program, product or service is appropriate for you. You are assuming all risks, and you agree that Back-To-Sleep and I are not liable in any way for any program, product or service that Back-To-Sleep and I may promote, market, share or sell on or through my Website. From time-to-time, guest bloggers may post on the Website. The views, opinions, representations, statements and information provided within these guest posts are those of the author alone and do not represent those of or myself. The accuracy, completeness and validity of any statements made within any guest post are not guaranteed. You agree that Back-To-Sleep and I assume no liability for any errors, omissions, representations or inaccuracies. The copyright of any guest blog content belongs to the author of that content and any liability with regards to infringement of any rights related thereto remains with the author of the guest post. By using my Website you are agreeing to all parts of the above Disclaimer. If you have any questions about this Disclaimer, please contact me at info@back-to-sleep.com.